Super slick, laid back electric piano riffs, perfect for watching the sun come up. Wicked chords, great sounds. From Deep House to DnB. Also comes with bonus beats, guitars etc featured on the demo's. Wicked chords, great sounds. From Deep House to DnB. Also comes with bonus beats, guitars etc featured on the demo's. 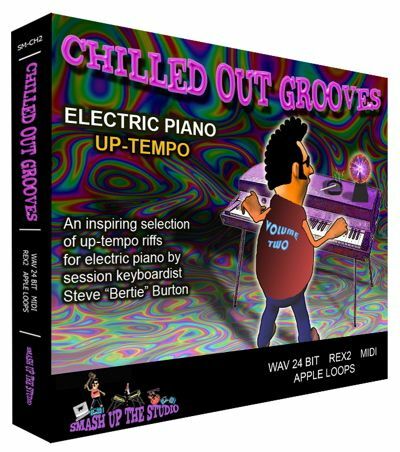 chill out to wicked chords and cool grooves after a heavy night on the dance floor. more contemporary tones and effects, all recorded in 24 bit audio. right the way through to laid back Drum n Bass. into your mix. Also comes with Midi files for complete versatility. including guitars, synths, and midi files.